People with an eating disorder experience distorted thinking about body image. In a typical therapeutic setting, this distorted thinking often results in the person engaging in verbal defence mechanisms about their eating disorder. Art therapy can help avoid this process of defensiveness by not solely relying on verbal engagement from the client. Art therapy also provides a client with a sense of agency and control by personal choices through art expression. Often a person with an eating disorder will feel external pressures and demands from family and friends who are concerned about them. This pressure can lead to engaging in defensive behaviour which the process of art therapy can help break down. 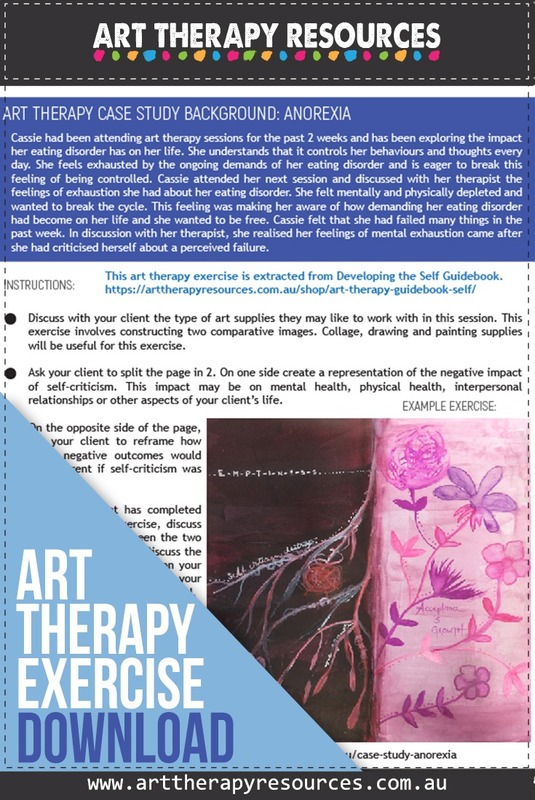 As art therapy is an ongoing process of revelation, a client with an eating disorder will, at some point, be confronted by issues of control that arise when a creation or the use of art supplies doesn’t turn out as expected. A client with an eating disorder will often battle extremes of control and this may present itself in the creative process depending on the progress of the client through understanding their eating disorder. Initially, the client may approach art activities with an extreme sense of control over art supplies and the creative outcomes. Further on in the treatment process, a client may then experience a sense of no control where emotions are explosively portrayed in the art piece. An art therapist can pay attention to these changes and use this in discussion with the client to explore issues around control and emotional expression. Activities around discovery of the self are helpful for those with an eating disorder. Moreover, having a solid understanding of the development of self and self-esteem is useful when dealing with clients who have an eating disorder. 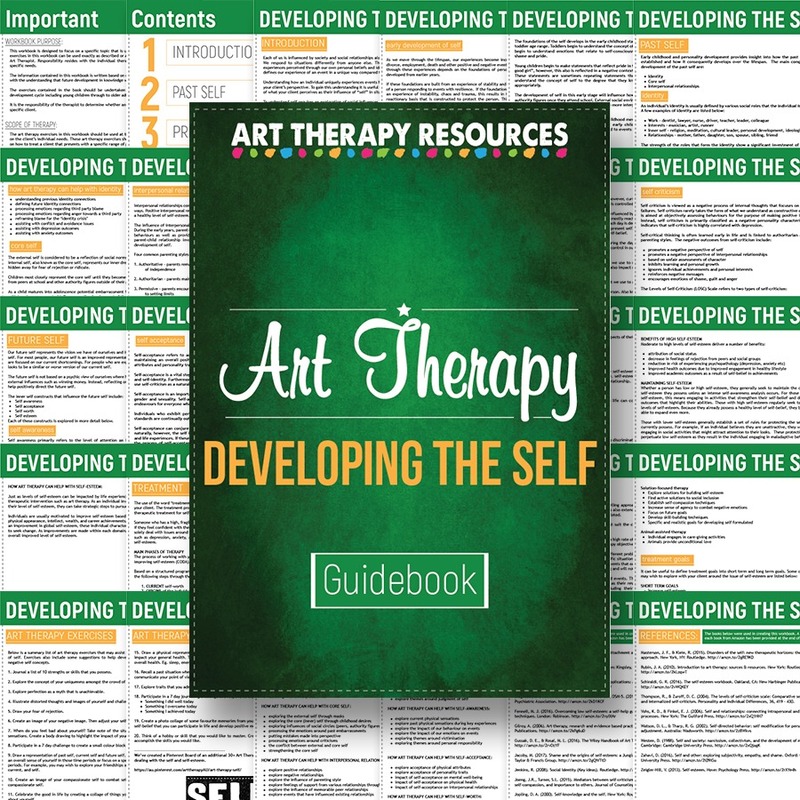 To further explore the topic of the self, we have a digital guide in the store: Art Therapy Guidebook – Developing the Self. Using this guidebook, you will be able to work with your client to combat negative self-beliefs and self-criticism. After learning the process of discovering the self with your client, you can use this guidebook to help your client construct a positive outlook for the future self by exploring self-awareness, self-acceptance, self-worth and self-esteem. You can read more about the Developing the Self Guidebook here. 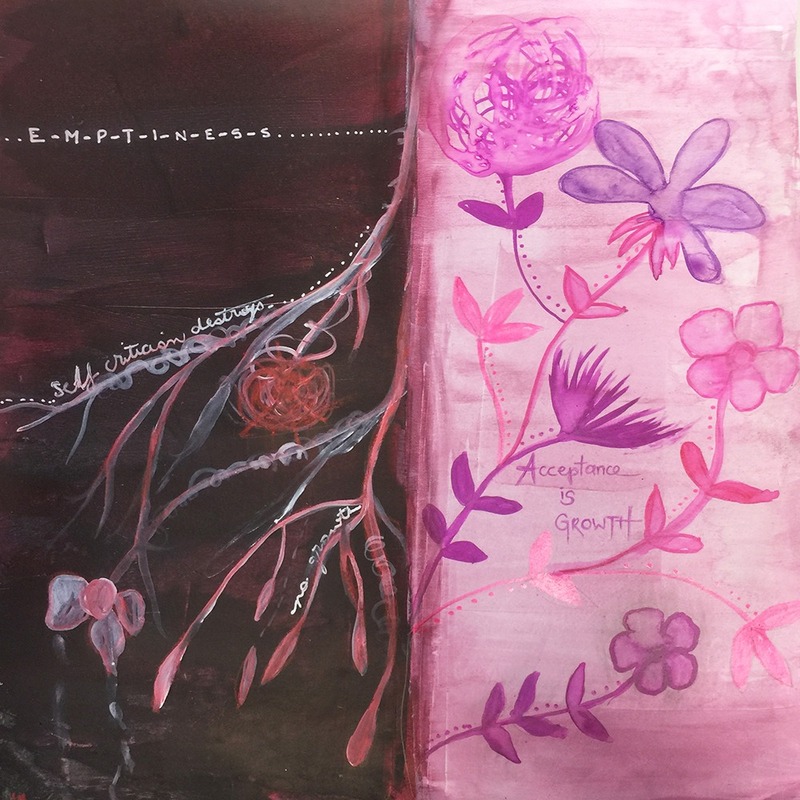 Summary of sessions to date: Cassie had been attending art therapy sessions for the past 2 weeks and has been exploring the impact her eating disorder has on her life. She understands that it controls her behaviours and thoughts every day. She feels exhausted by the ongoing demands of her eating disorder and is eager to break this feeling of being controlled. Cassie attended her next session and discussed with her therapist the feelings of exhaustion she had about her eating disorder. She felt mentally and physically depleted and wanted to break the cycle. This feeling was making her aware of how demanding her eating disorder had become on her life and she wanted to be free. Cassie felt that she had failed many things in the past week. In discussion with her therapist, she realised her feelings of mental exhaustion came after she had criticised herself for a perceived failure. 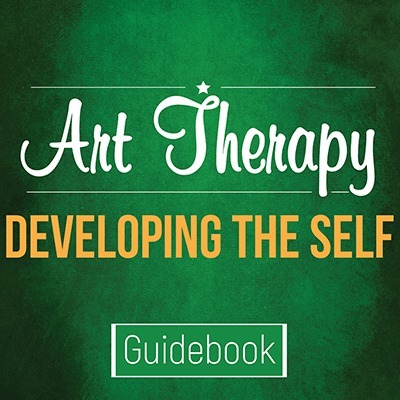 This art therapy exercise is taken from the Developing the Self Guidebook that is available in the store. This exercise is designed to provide your client with insight into the negative outcomes of self-criticism. Self-criticism is based on an unfair assessment of character and generally ignores any positive individual traits. Self-criticism encourages emotions of shame, guilt and anger. Discuss with your client the type of art supplies they may like to work with in this session. This exercise involves constructing two comparative images. Collage, drawing and painting supplies will be useful for this exercise. Ask your client to split the page in 2. On one side create a representation of the negative impact of self-criticism. This impact may be on mental health, physical health, interpersonal relationships or other aspects of your client’s life. On the opposite side of the page, ask your client to reframe how these negative outcomes would be different if self-criticism was removed. 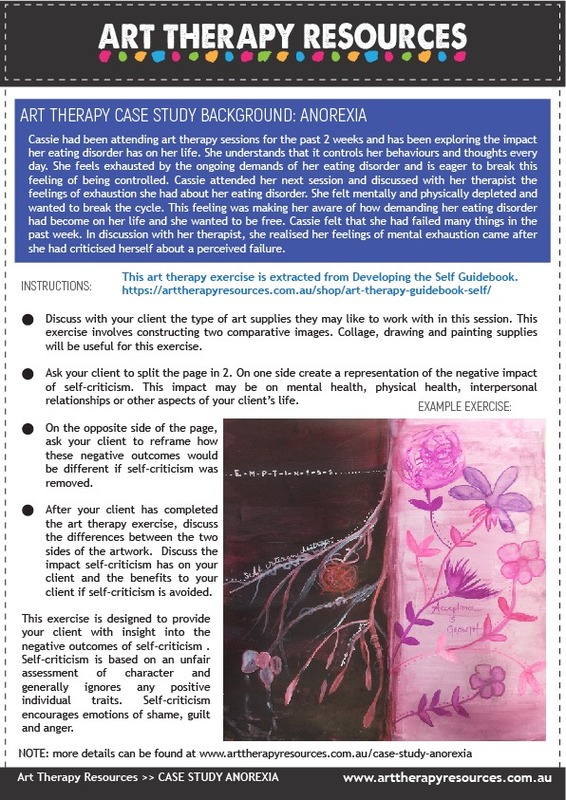 After your client has completed the art therapy exercise, discuss the differences between the two sides of the artwork. Discuss the impact self-criticism has on your client and the benefits to your client if self-criticism was avoided. Cassie was able to see visual proof of the negative impact of her self-criticism. The exercise provided insight into how self-criticism can set her progress back. She was also able to connect the negative outcomes of self-criticism on her mental and physical energy levels. Cassie aims to use the reframed outcomes as a reminder of the benefits of avoiding self-criticism in the future.